This beautifully written ethnography follows the lives of two very different Japanese men entering political life in two very different communities. One is the rural leader of a citizens' referendum movement, while the other hopes to succeed his father in a Tokyo ward assembly. 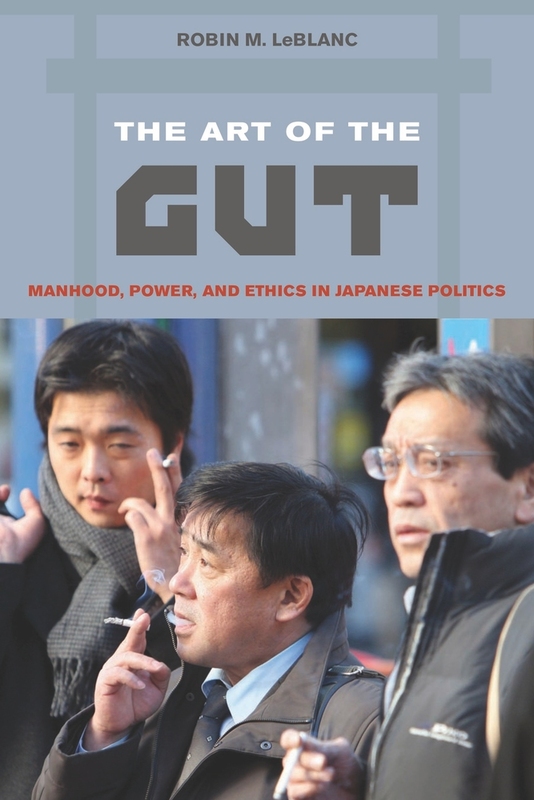 Fast-paced and engrossing, The Art of the Gut puts the reader behind the scenes to hear speeches, attend campaign functions, and eavesdrop on late-night strategy sessions and one-on-one conversations. In her groundbreaking analysis, Robin M. Le Blanc explores the the two men's differing notions of what is expected of a “good” man and demonstrates how the fundamental desire to be good men constrains their political choices even as it encourages both to become ethical agents. The result is a vibrant and up-to-date picture of politics in Japan today that also addresses masculine gender expectations in a male-dominated political world, the connection between gendered identity and ethical being, and the process by which men who are neither dominant nor marginal to their communities assert themselves both with and against power. Robin M. Le Blanc is Professor of Politics at Washington and Lee University and is the author of Bicycle Citizens: The Political World of the Japanese Housewife (UC Press). "Effective. . . . LeBlanc writes in a passionate yet nuanced style."